The Solar Return chart of India indicates tough times ahead for the nation. Solar Return chart of India indicates tough times ahead for the nation. The 67th Independence Day will be celebrated on 15th August 2013. While it is a day to remember and honour the countless sacrifices that freedom fighters made, it is also a day to welcome a brighter future. But does the recent past indicate a promising tomorrow? Political instability, war-like situations at the national borders, rising prices and delicate economy display a rather gloomy picture. Will these all continue in the coming year? Ganesha analyses the Solar Return Chart of the Independent India foresee the highs and lows waiting to occur in the Solar Return phase. The Solar Return phase will begin on 14th August 2013 at 21 hours 53 mins and 56 Seconds. The Lord of the year is Jupiter, Muntha (an imaginary mathematical point) is in Scorpio – 9th House with debilitated Moon. Muntha Lord is Mars, which is placed in the 4th House. 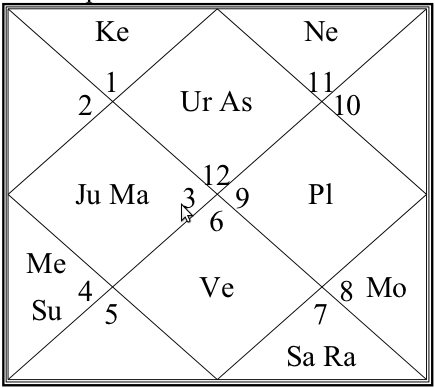 Saturn and Rahu are unfavourably placed in the 8th House of India's Solar Return Chart. Ascendant is at 29 degree of Pisces, hence Vargottami. Plenty of changes are foreseen on the political front. During the year ahead, some major political parties will go through a challenging period and may even encounter a downfall as unity among the party-members take a serious beating. There will be plenty of changes in the overall political scenario and leaderships. In all likelihood, some veteran political leaders will have to step down from their positions or accept secondary roles as some emerging leaders will directly or indirectly force them to create some room. The young generation will step forward and put some serious questions before the authorities. It won't be surprising if they will become rebellious and aggressively demand better governance. 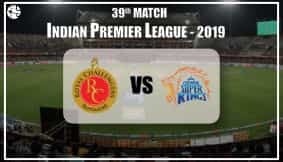 There will be restlessness all around, and as a result, Indians will express their agitation and displeasure quite openly. Rallies and public gatherings will be a common sight during the year ahead. Talking about business and commerce, Ganesha says that there will be a considerable drop in real-estate prices. Besides, India may face severe financial crisis during the Solar Return phase. The Indian government will have to be on its toes and shall have to do its best to tackle the increasing debts on the economy. Uttarakhand recently witnessed a water disaster, which killed hundreds and made thousands homeless. Ganesha predicts that we may witness such disasters, including floods and tsunami, in the coming year as water is a predominant element this year. 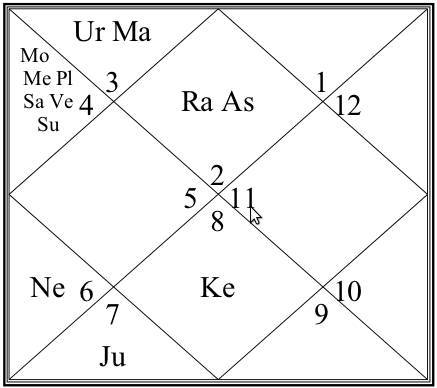 The Solar Return chart is of Cancer Ascendant which rules the 3rd House of India's National horoscope. Mars and Saturn are posited in Libra, and Mars is aspecting the 10th House of Authority. In all probabilities, the creative fields and entertainment industry will fetch better profits. Debt on country will reduce to an extent during this Solar Return phase. Foreign investment may increase in India. There may be a change of ruling during the period between 15th August 2014 and 2015.